The cryptocurrency is full of hearsay and rumours; the market thrives on gossip in both positive and negative impacts on the price. Bitcoin & Altcoins can go up on a shill or a pump from a whale, and back down on the spread of FUD across social media. The power of influencers both within and outside any cryptocurrency project is unprecedented. The market's volatility is unlike any other market and is mainly driven on impulse at times because it is still an embryonic industry. This rollercoaster ride is something crypto investors have become accustomed to, and these large swings make it easy to make gains but also to lose big if you don't keep one eye firmly fixated on the market. Since there is no one all-knowing regulating body or authority on cryptocurrency that supersedes them all the flow of information around this projects is spread over various blogs, forums, social media sites like Reddit & Youtube, as well as instant messaging apps like Discord and Telegram. Reliable crypto news is hard to come by for the average person, and the real stories are often syndicated via a secret society of hodlers within these online communities. 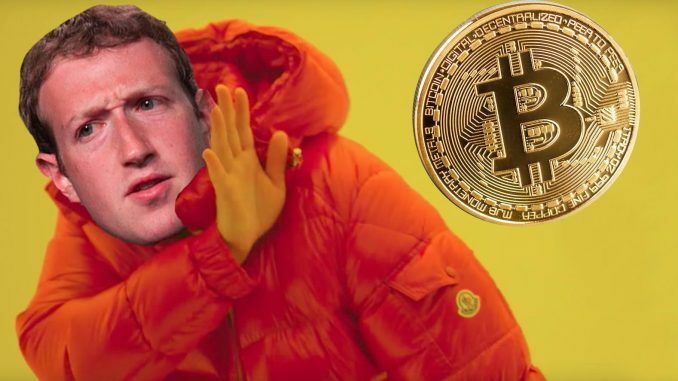 Facebook has a new advertising policy about cryptocurrency, binary options and initial coin offerings. The policy specifically prohibits ads that promote those types of products and services “that are frequently associated with misleading or deceptive practices,” Facebook Product Management Director Rob Leathern wrote in a blog post today. The social network has had enough of fraudulent and deceptive information being syndicated on their website and has installed a blanket rule against the entire market. Cryptocurrencies like Bitcoin, Litecoin and Ethereum, and initial coin offerings have all hit the mainstream, which has promptly resulted in some scams. While Facebook says it wants people “to continue to discover and learn” about those products and services, “there are many companies who are advertising binary options, ICOs and cryptocurrencies that are not currently operating in good faith" The policy is understandable: unless Facebook invents a mechanism to filter misleading ads, it is easier to ban them all. However, any moderation is hard to imagine. There are lots of ICO ratings and audit companies that are dealing with the same problem of scam ICOs, deceptive information, and fraud. Still, the number of crowd sales is growing at an unprecedented pace, and so does the number of dirty players. With dozens of crowd sales being announced daily, it would take weeks for experienced experts to analyse them all and decide whether a particular ad is decent or not. Making this a near impossible task to manage manually. There are four key ad types that have been particularly problematic on social media platforms like Facebook. I'll take you through each of them just in case one of them sneak through to your newsfeed, so you're well aware of what you're dealing with. Short form of ‘fear, uncertainty and doubt’. Usually used in the form of “Friends spreading FUD again.” Look cryptocurrency is not for everyone, people are going to lose money, and when they do, they're not going to speak about it in glowing terms. Sceptics along with those who have been burned have taken it upon themselves to take on this group of rebels and anytime a sniff of something negative in the media surfaces they try to blood social media sites with multiple articles with misleading headlines and hardly any facts. This kind of behaviour wreaks havoc on volatile markets, and inexperienced traders who are easily influenced will sell off their positions creating drops that could have been avoided. In a market with no regulation, there are always going to be people who try to take advantage of the situation. We've seen this happen with influencers like JR Business, Trevon James, Craig Grant, Cryptonick, Cryptochick & Ryan Hildreth shilling Bitconnect and gathering literally thousands of subscribers. They use social media ads to gather followers and syndicate their content via multiple social media channels. Having this kind of influence and social media following gives them opportunities to manipulate the market in their favour. They're able to make large sums of money promoting affiliate links, or they can take major positions in shitcoins and be using their followings to drive pump and dumps. If you've so much as googled what Bitcoin is and then try to use Facebook or Youtube afterwards you're going to have a bad time. Day trading exchanges retarget based on these types of content and searcher intent and bombard users with ads about how easy it is to trade cryptocurrency every day and become filthy rich without knowing a damn thing. These exchanges claim you can make money irrespective of your position or which way the market is going and this is totally misleading. ICOs are like Forrest Gump's box of chocolates; you never know what you're going to get. We've seen ICOs moon in the past and for many who felt they missed the boat with Bitcoin and Ethereum. ICOs present a highly risky investment that could have exponential growth potential for small investments, which is why it's so appealing. The issue with ICOs are some of their projects are copycats or simply doomed to fail; they could also be scams like Prodeum and run off with investor money or struggle to get off the ground after raising the money like Tezos. So why would Facebook want to take the risk allowing markets like these advertise on their platform? Especially when Facebook has a vested interest in protecting their users from predatory advertising. Fortunately, decentralized technologies are not only the source of the problem but also a solution. The problem of fraud has plagued the crypto-community for years, and it was just a question of time when the community would consolidate to sort it out. If you are a legitimate cryptocurrency project looking to spread the word and do some marketing with mainstream platforms kicking you to the curb, there is now a solution called the CLOUT project. CLOUT is a decentralized media platform for the crypto-community. It functions as a social media, where users can share, comment, like or dislike pieces of content. The main advantage of CLOUT is its ability to self-regulation. Each user has his rank that is formed on the base of votes that he receives from the community. If somebody posts dishonest or fraudulent content, other users can dislike it and lower the ‘karma’ of the author. Projects also have their ranks that are being formed in the same way. So, the community regulates itself: decent projects and useful pieces of content are being approved and awarded with CLOUT’s cryptocurrency by the platform itself and its participants. On the contrary, dishonest projects and pieces of content are being penalized. Being a media platform for ‘all-crypto’, CLOUT offers advertising opportunities for its participants. Any project can sign up and start an advertising campaign targeted to a specific crypto-related audience of potential investors. Thanks to its self-regulated mechanism, CLOUT doesn’t need a complicated technological solution or manual moderation of advertisement placements. This is all done automatically by the CLOUT reputation system. Finally, it is worth saying that the crypto-market needs some sort of regulation to keep the fraudulent projects and authors in check. However, the solution shouldn’t be autocratic – like that of Facebook – but use the power of decentralised technologies instead. While the market finds a way to correct this and find ways to stop rewarding fraudulent behaviour the crypto market will remind the wild west. Equipping yourself with tons of research before you buy into a project is a must unless you're keen on throwing your money away by giving it to strangers.